Tag Archives for " auto darkening "
Auto Darkening Welding Helmets vs Passive – Which is Best? 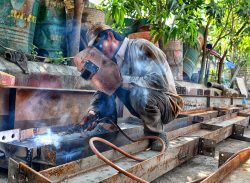 A good quality helmet is a must for any welder, whether a person is a professional or pursuing welding as a hobby. 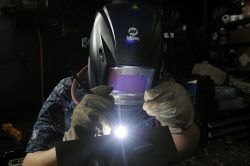 Even if you weld every now and then, a good quality helmet will give you peace of mind in knowing that your eyes are safe from the arc’s glow. With a quality helmet, you will be able to work faster and with more confidence too. 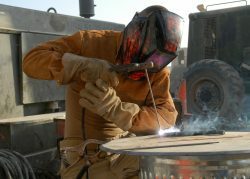 When it comes to safety during welding, one should not make any compromises. Buying an auto darkening helmet is a must for any welder whether you are welding professionally or you are just pursuing welding as a hobby. The most significant benefit of these helmets is that they darken up in the fraction of a second on detection of the arc. This helps in preventing accidental exposure to the arc flash. The helmets are powered by batteries as well as solar power and even if the battery runs out, the default screen of the helmet is dark enough to prevent flashing. Auto-darkening helmets are an essential protective measure that all welders need to use for the continued safety of their eyes during welding. 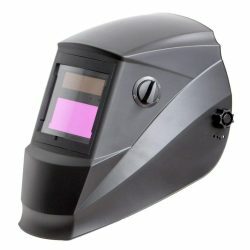 There are different kinds of auto-darkening helmets available in the market to suit the needs of welders all over. Many people that use auto-darkening helmets have doubts if using these helmets will damage their vision. People often head to search engines and forums to look for answers to this question. In reality, there are several other factors in play when you use an arc to weld things. In this article, we are going to take a look at some of these factors to find out if auto-darkening helmets are harmful to your vision. Welding Helmet Guide is a participant in the Amazon Services LLC Associates Program, an affiliate advertising program designed to provide a means for website owners to earn advertising fees by advertising and linking to amazon.com, endless.com, smallparts.com, myhabit.com, and any other website that may be affiliated with Amazon Service LLC Associates Program.